Ginetta Junior Ireland is delighted to announce today that the 2016 Championship will be sponsored by Dennings Cars. Ginetta Junior Ireland is Ireland’s only racing class for 14 - 17 year old competitors driving Ginetta G20 cars, and has been running very successfully since 2010. This year, again, we will welcome new competitors to join those who are still eligible to race with us in 2016, and will be competing for the championship over 12 rounds, with 10 rounds counting. Many of our ex-competitors have achieved great success to date, including the current Young Driver of the Year, Team Ireland (3 ex-competitors), British GT racing, Road Safety Ambassador to name just a few achievements. "To have Dennings Cars on board is fantastic for the class. This sponsorship allows us to continue our efforts to support our junior competitors and help to grow the class. We are very much looking forward to working with Dennings Cars in 2016." 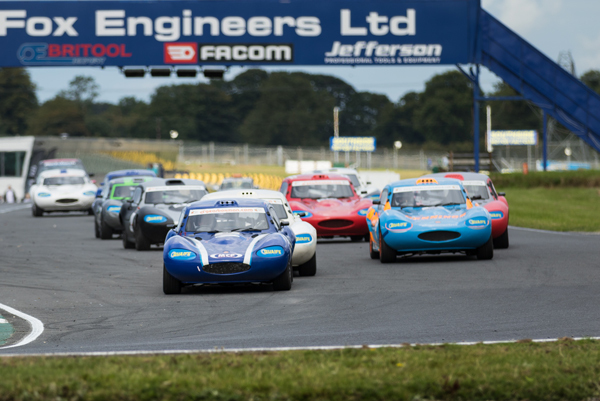 "We are delighted to support Ginetta Junior Ireland and the competitors. This racing class has proven itself to be a great starting point and training ground, attracting young new competitors into the sport, many of whom have gone on to achieve great success."